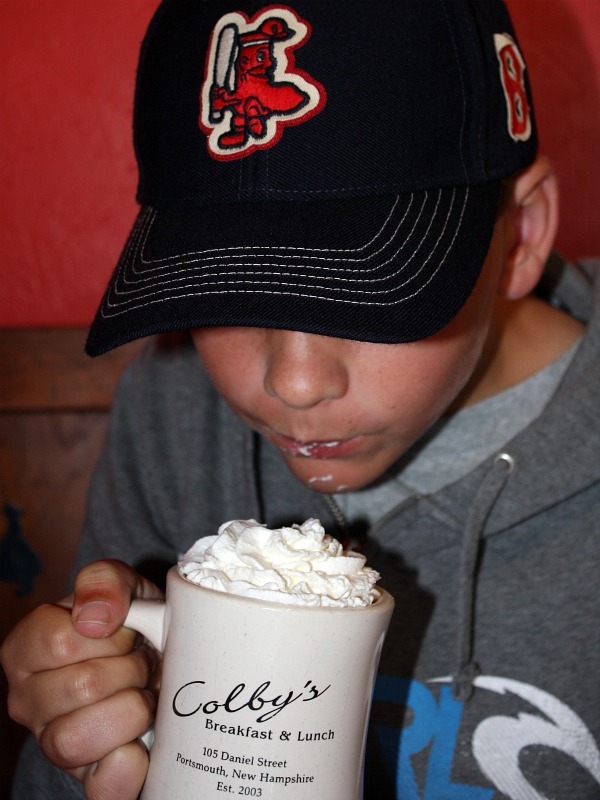 We had a fabulous breakfast in Portsmouth, NH at Colby’s. It’s very popular and very busy. Plan to wait for a table. I’d love to say that we had beautiful spring weather, but it was super chilly. Hot chocolate was in order. 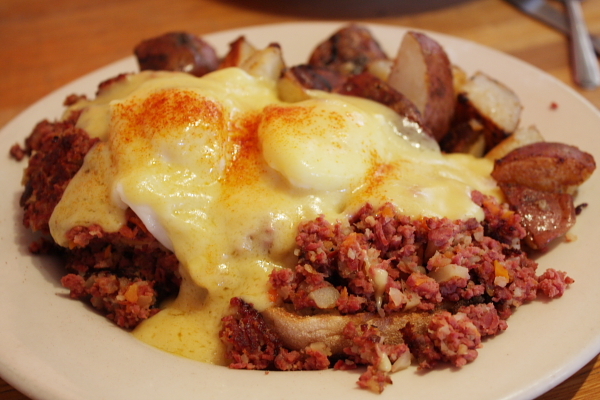 I made my husband order Eggs Irish- Eggs Benedict w/ Corned Beef Hash (incredibly over-the-top delicious). 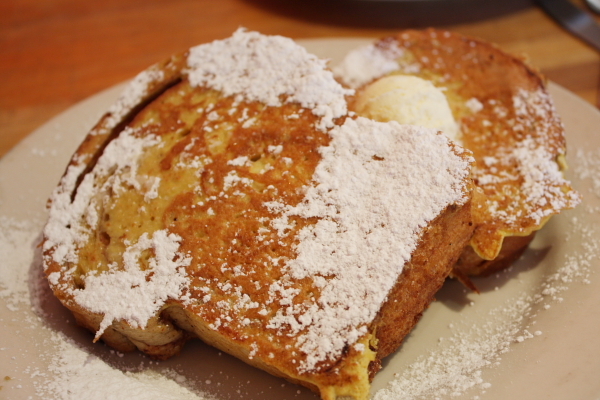 And the kid had Cinnamon Swirl French Toast– very thick slices of bread dipped in batter and fried. Always good. On our way to Maine, we stopped in Kittery for some outlet shopping. 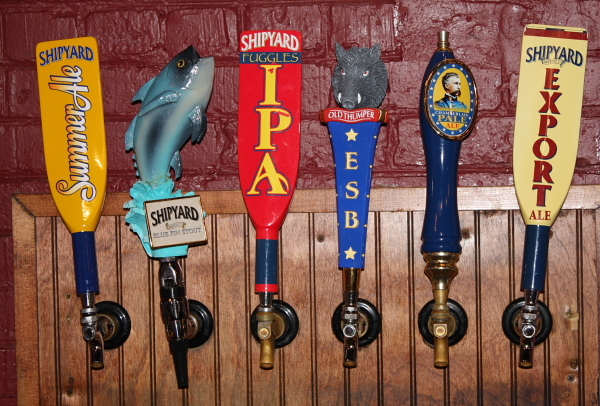 A brief stop in Kennebunkport allowed us to sample beer and clam chowdah, play billiards and watch the Red Sox lose yet another game. 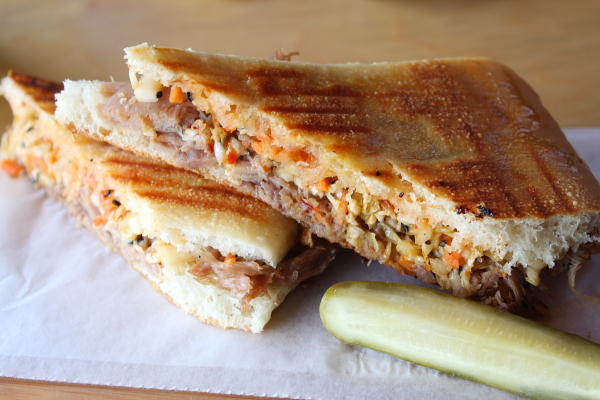 Our main destination was Portland, Maine, which is known as being a foodie town. Perfect! 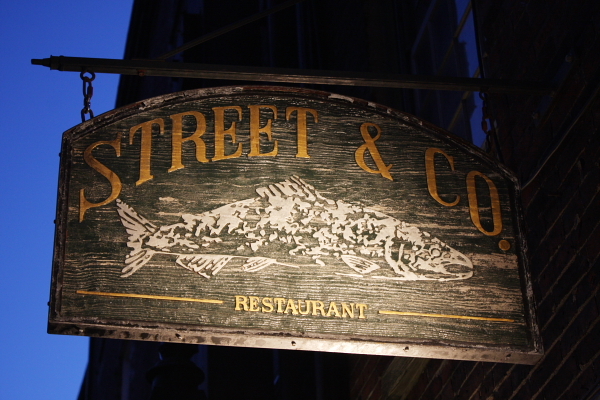 For our first night’s dinner we ate at Street & Company (highly recommended). 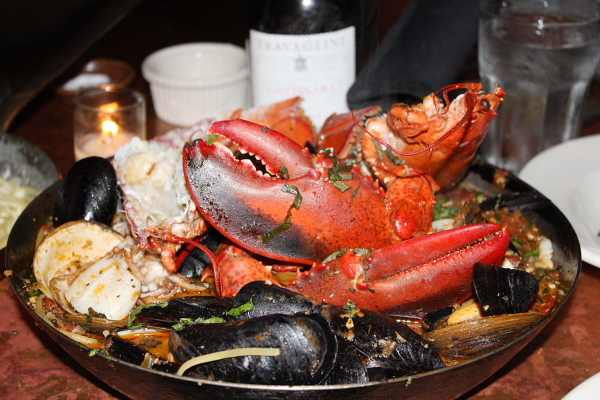 This is the dish that everyone raves about at Street & Co: Lobster Diavolo for two w/ clams, mussels & calamari. The appetizers we ordered were very good (Murcia al vino w/ fig cake & Membrillo and Andalusian Tortilla w/ Peas & Chorizo), but I wasn’t so over-the-moon about this lobster dish. It was extremely messy, and it just seemed to be full of shells that you had to navigate around. Dessert was warm gingerbread with sweet lemon cream (yum). This isn’t a great place to bring kids (no kids menu and not a lot of kid-friendly menu choices). 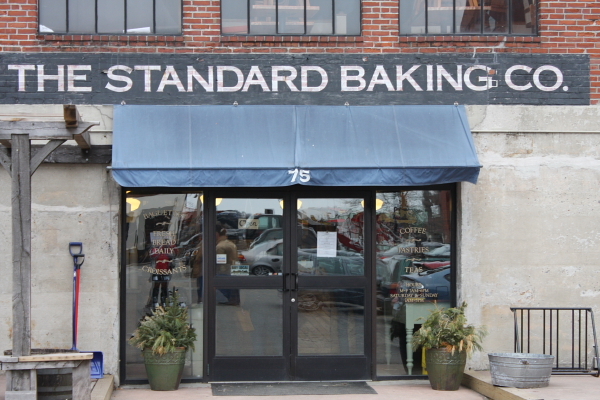 We started Day 2 with a visit to The Standard Baking Company. 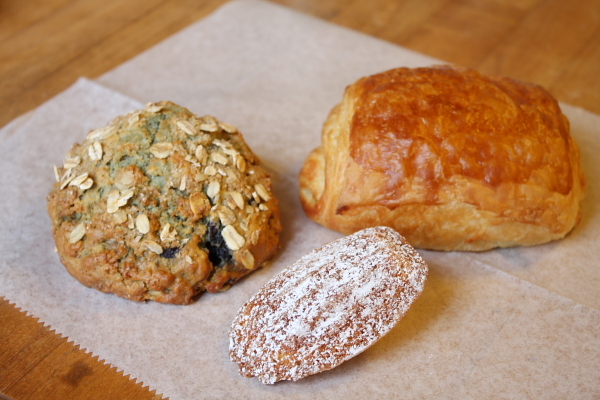 Molly suggested I try the blueberry muffin (sadly, no blueberry muffins that day), so we went with a blueberry & oatmeal scone, Pain au chocolat and a Vanilla Bean Madeleine. Loved this bakery in an old brick building- the staff there were all very friendly and hip, and the treats were delicious. 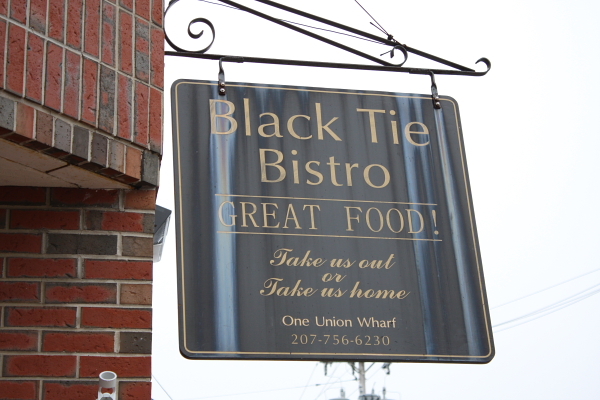 My husband knew of this little market: Black Tie Bistro & Market, so we stopped in to check it out. It’s the kind of place where you stop in for a mug of homemade soup and a half sandwich, or browse their more gourmet items. 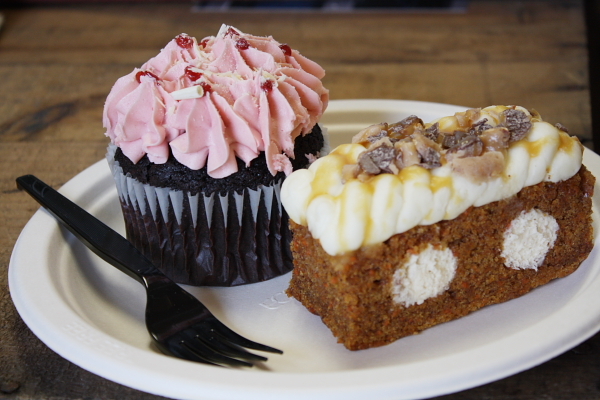 We tried a White Chocolate- Raspberry Truffle Cupcake and Carrot Cake with Cinnamon- White Chocolate Filling and Heath Bar Crunch & Caramel Sauce. I fell in love with the carrot cake- no nuts and no raisins, and simply hard-to-resist. 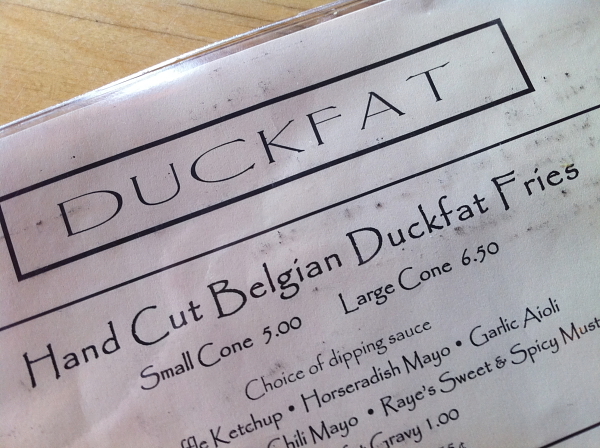 I’m not sure how we had room for lunch, but I had heard so much about this Duckfat place- we simply could not pass it up. It’s a funky little dark and intimate restaurant. There’s a wall of magnets where you can create your own poetry. Our son fiddled with the magnets for a while before we figured out that most of the “poetry” on the wall was rather risque. We found him something else to do. 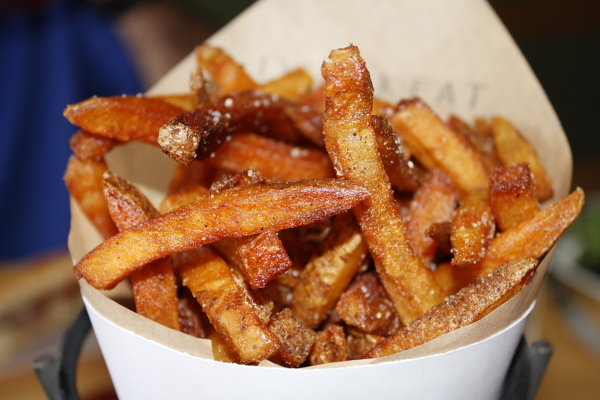 Duckfat fries with truffle ketchup & sweet and spicy mustard. TO.DIE.FOR. Loved these so much. 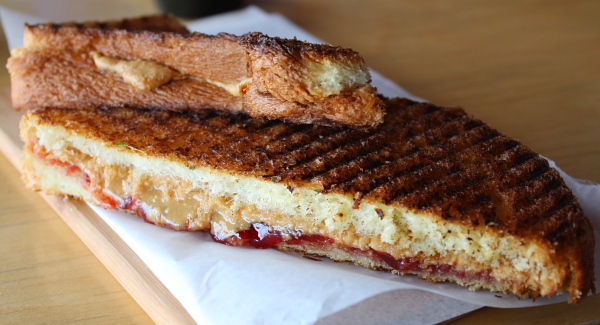 Peanut butter & Jelly Panini on Brioche for the kid. I’m not sure he appreciated this as much as I did. 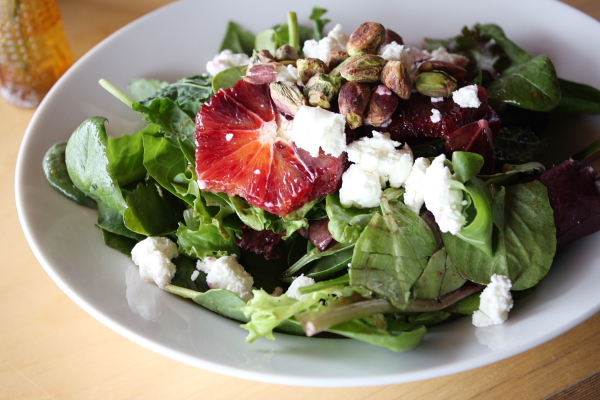 At this point in the day- I was ready for something light- Roasted Beet Salad w/ Goat Cheese, Blood Orange, Pistachios & Local Greens w/ an Orange Vinaigrette (simply perfect with a mug of lemon-wedged beer). 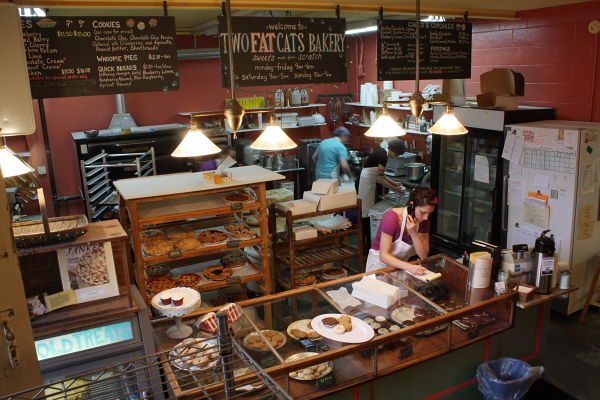 After lunch we checked out Two Fat Cats Bakery, where they had a pretty delicious classic whoopie pie and lemon shortbread cookie. I loved the charm of this place that you step down into from street level. Since I dragged my husband around to bakeries, I let him drag me to Shipyard Brewing Company for beer tasting. He tasted. I watched. Kiddo and I tasted their sodas instead- blueberry, orange, strawberry, etc. (all good stuff). Day two dinner was at The Grill Room– a nice, more casual restaurant with upscale steakhouse food. We started off with Wood oven baked Brie w/ Chive Oil, Balsamic Vinegar & Pepper Jelly. This and some wine and that’s all I needed. But we ordered much more. 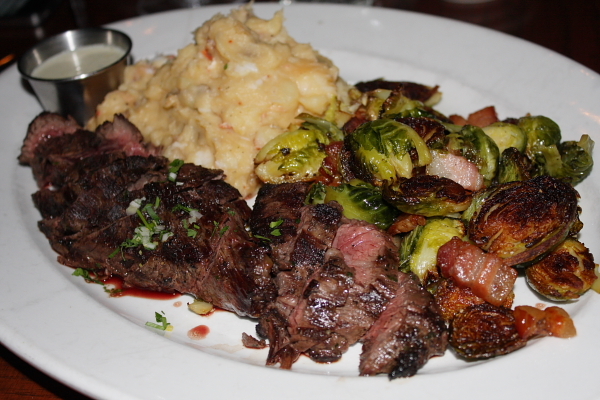 My dinner shown here doesn’t look all that appetizing in the poor evening lighting, but how can you not love Grilled Hanger Steak w/ Blue Cheese Fondue, Brussels Sprouts w/ Bacon & Lobster Mashed Potatoes? Every bite was heaven. 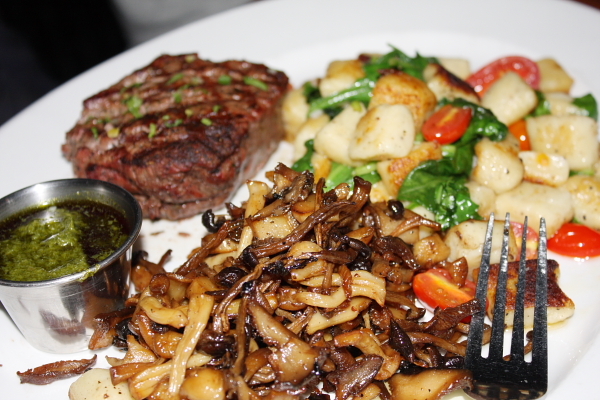 My loving partner had Filet Mignon w/ Chimichurri Sauce, Potato Gnocchi w/ spinach & tomatoes and roasted mushrooms. Also very good, but it took them a couple of times to get his filet mignon just right. 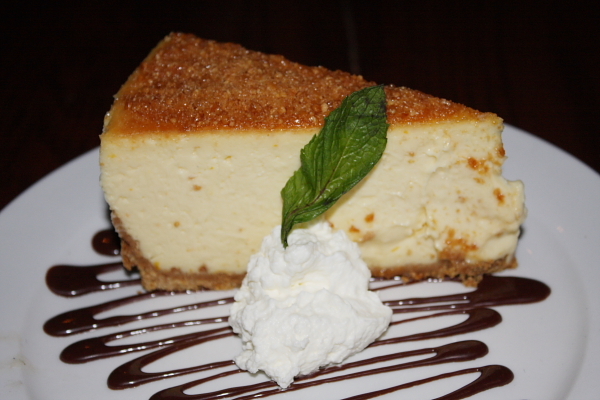 Dessert: Meyer Lemon Cheesecake w/ Caramel Almond Topping. We demolished it. Not a smidge left. The next morning we grabbed a quick bite at Becky’s Diner for a fairly priced, no-frills breakfast. Their grilled blueberry muffins are worth trying. Then we visited what I considered one of the foodie highlights of our trip: Cranberry Island Kitchen (known for their unique versions of whoopie pies). They once had a Whoopie Pie Throwdown with Bobby Flay… and they WON! I’m not surprised. These things are amazing. The owners of this place set out to create whoopie pies shaped like lobster, shells, pumpkins, mussels, clams, teddy bears, etc. The cakes are a little more like a madeleine than the classic whoopie pie cakes that I’ve tasted before. And the fillings are creamy and incredibly delicious. My son and I spent a long time in this place… tasting and tasting, and then leaving with about 10 flavors of whoopie pies to try later. These gals have really created a worthwhile product- I’ve not seen anything like it before- and they do mail orders for gifts too! 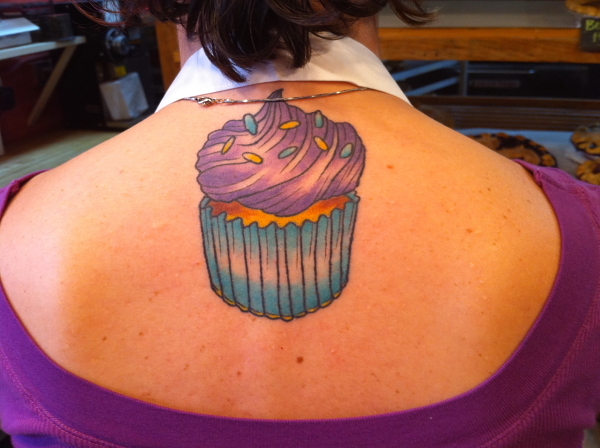 My favorite flavors were pumpkin, chocolate peppermint and lemon lime. 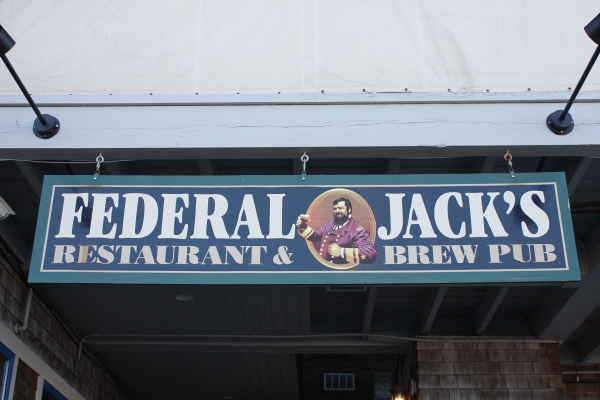 This place is not to miss if you’re ever in Portland, Maine. We left Portland and headed to Freeport, Maine for some more outlet shopping. My husband dragged us to a store that he was interested in checking out, and my son & I found ourselves face to face with yet another whoopie pie bakery: Wicked Whoopies. Turns out these whoopie pies were once chosen as one of Oprah’s Favorite Things, and they have become quite well known because of that. 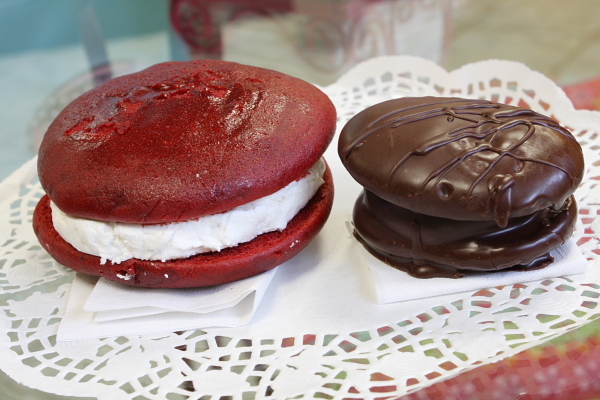 We tried the red velvet whoopie and the Whoop de Doo (a chocolate covered whoopie). 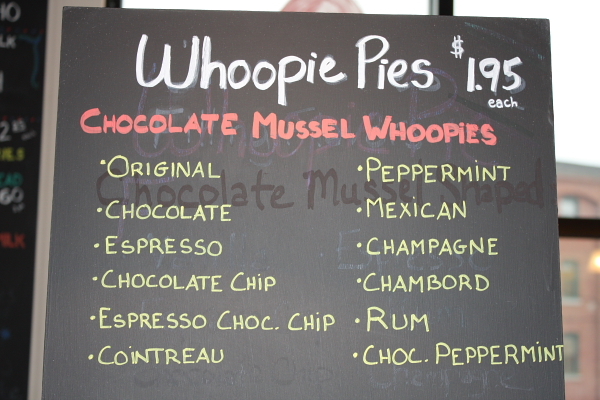 The chocolate covered whoopie was pretty darn good. The red velvet stuck to my fingers, and I didn’t care for the filling all that much. 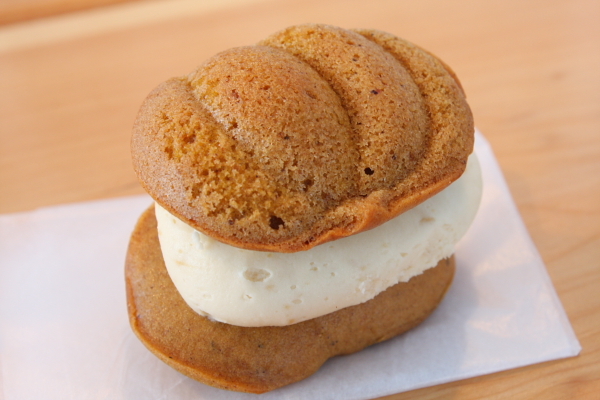 This place has every flavor of whoopie pie you can imagine, and they sell a giant, pie-sized whoopie pie too. 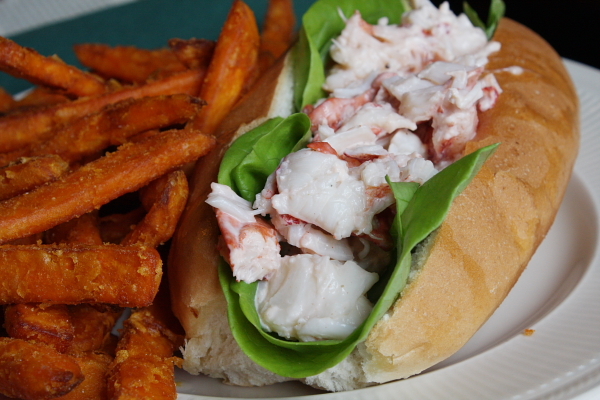 … and a lobster roll on a soft, butter toasted roll with sweet potato fries too. Welcome to the NEW RecipeGirl website! Yep, you did it. I think you highlighted all that our delicious east coast side has to offer… now… if you ever venture more north (4 hours or more North), we’ll tempt your palate with some hardy, dirty to dinner potatoes, Moose meat steaks, and wild blueberry “grunt”… New to your blog, and featuring a Maine adventure has me smitten already. Yay! 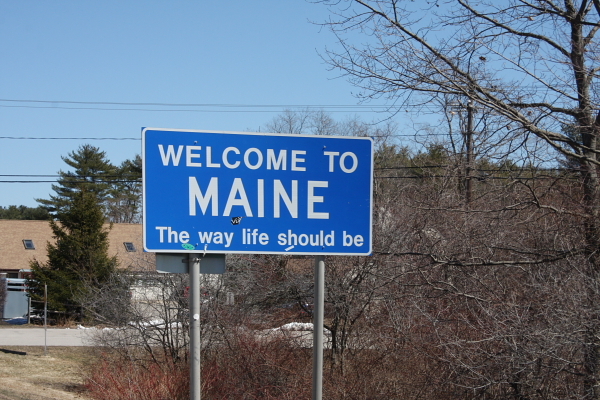 Love Maine… I’ll be back! Loved Duckfat! Now I’ll have to go back since I didn’t taste the garlic aioli! My husband and I are planning a trip to Maine next week. He has a business conference in Bethel and we were debating about going to Freeport, Kennebunkport, or Portland. Can you recommned any places to stay overnight along the way? And any other nearby must see/do things? A few recs- Captain Lord’s Mansion in Kennebunkport is a nice place to stay. Loved York Harbor Inn between Portsmouth and Portland, right on the coast. We stayed at Residence Inn in Portland- it was nice, a short walk from downtown. The place where we ate lunch in Freeport- The Harraseeket Inn- looked like a really nice place to stay. And it was walking distance to all of the outlets in town. Hope that helps! I’m a Mainer. I gotta say, you nailed it. 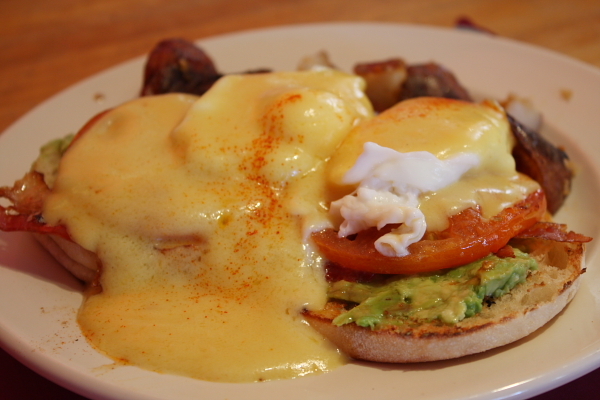 Thank you so much for highlighting the truly amazing places to eat in Portland. 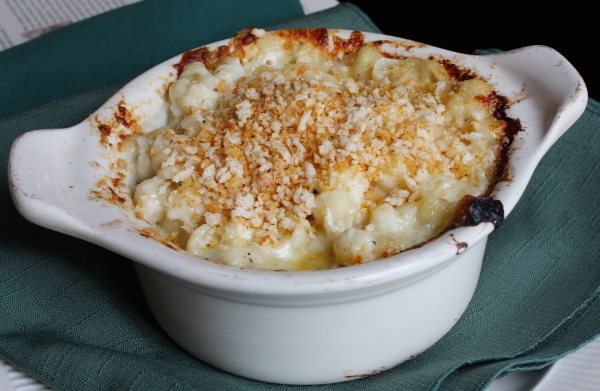 Duckfat is one of my all time favorite places, and often overlooked when people review the city. This is the best review of places to eat in Portland I’ve seen in a long, long time. Thanks. Oh me oh my! I am so behind Lori but I LOVE this post, love that you had a great time in Maine and the rest of NE, and am also totally loving the new site. Much more personal ad clean!! Great work!!! Bob’s Clam Hut, got it! I loved this It was like taking a trip to Maine without the cost!!! !